ChatTime is an iPhone app developed by SmartRoam. This useful app boasts a major benefit for iPhone users: the ability to make crystal clear international calls without requiring Wi-Fi or 3G. On the App Store, the developers boast “ChatTime calls are crisp and crystal clear without annoying voice delays, echoes or distortion.” That is 100 percent accurate! My test calls sounded great…even better than usual! When we talk about phone apps, everyone wants to talk about money. In the case of this app, ChatTime boasts savings of up to 98% compared to your mobile operator or Skype. For example, you can call India at 2.5¢/min, saving 68%. There are a couple of potential downsides. ChatTime does require you to register an account with them. And while it’s nice that you get $1.00 in free credits (enough for most people to talk for about 30 minutes), those trial credits expire after 7 days. However, one thing that is nice is the “test call” feature. This allows you to make a test call to London to hear the call quality for yourself, without using up any of your credits. However, local charges may apply depending on your carrier. 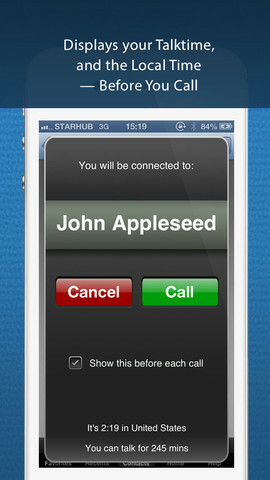 This app is recommended for international calls. 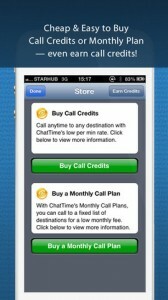 ChatTime will not charge you for domestic calls. One thing that is great is ChatTime’s importation of your contacts. Gone are the days when you had to dial a country code: just give ChatTime access to your contacts lists, and you’re good to go. 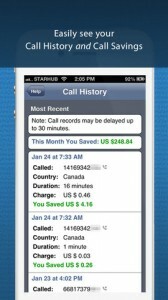 With monthly calling plans to call the USA/Canada and selected parts of Asia and Europe, this app is an indispensable tool for penny pinchers who are constantly calling friends and family overseas. 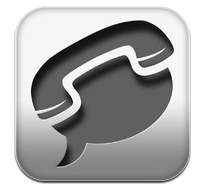 Developer note: For iPhone Only, May Use Monthly Plan Local Minutes, Not For Local Calls, Not For Travel Roaming. 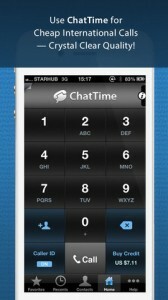 ChatTimeis compatible with iPhone. Requires iOS 4.3 or later. This app is optimized for iPhone 5.